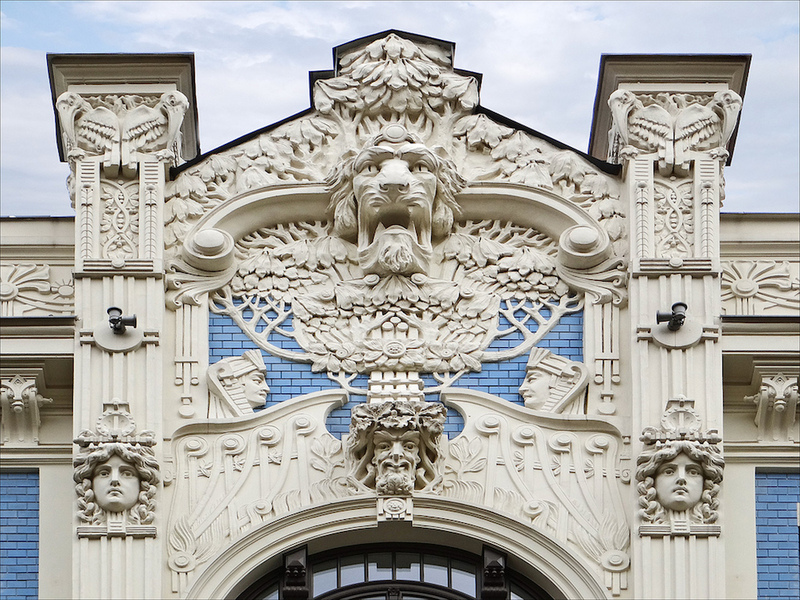 Riga often feels like the cosmopolitan city Europe forgot. 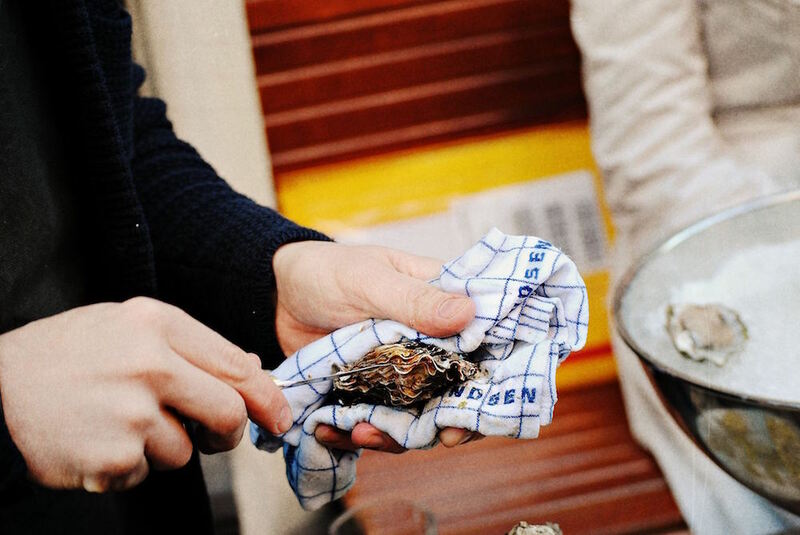 Pinned at the base of the Gulf of Riga, it’s always been the lodestone of the Baltic region — its only real city, as larger countries would understand the term. Its host country, Latvia, has spent the 25 years since the restoration of its independence consumed by a wracking identity crisis. 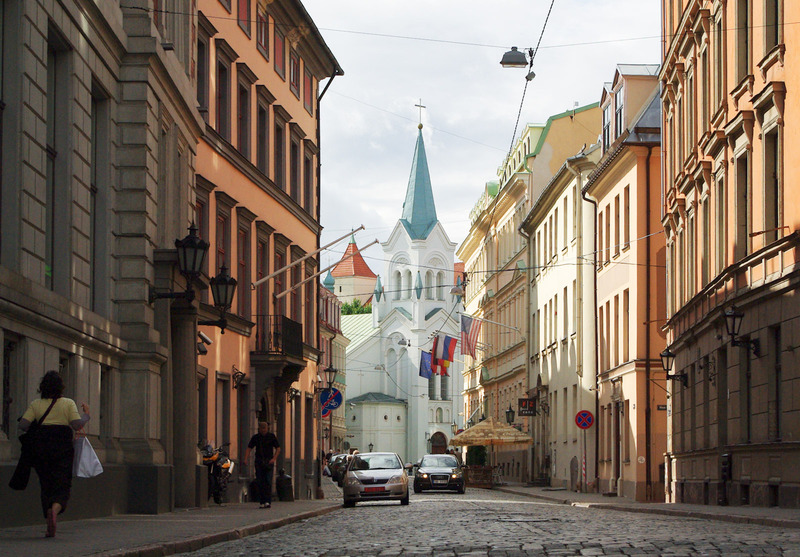 Lacking Estonia’s Nordic aspirations, Lithuania’s cohesive demographics and a sense of itself, geographically and psychologically stretched Latvia often seems unsure of quite what it is or where it has come from, its only certainty that it doesn’t really wish to be Russian. 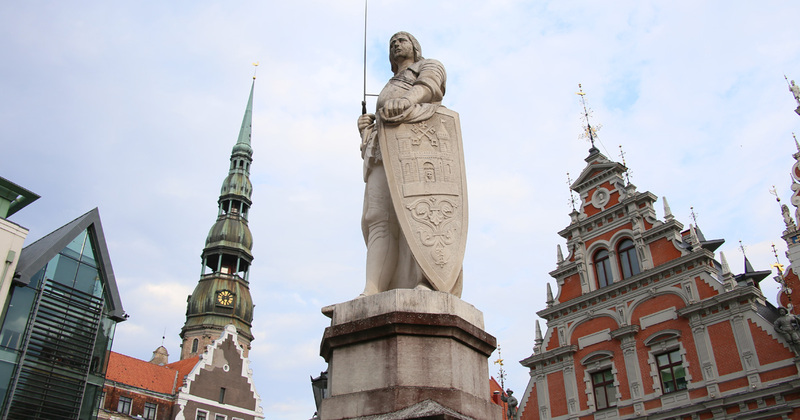 But Riga wears this diversity and ambiguity with ease, as well it might — it’s never been possible to describe it as Latvian without tacking on a fair few qualifications. The capital was founded by crusader Germans, whose upstanding red-brick buildings still set the tone for much of the Old Town; it was once the largest city of the Swedish Empire, long home to a sizeable Jewish community and increasingly Russified from the 1950s onwards. The imprints from surrounding cultures make it seem the literal point where northern, eastern and central Europe meet. 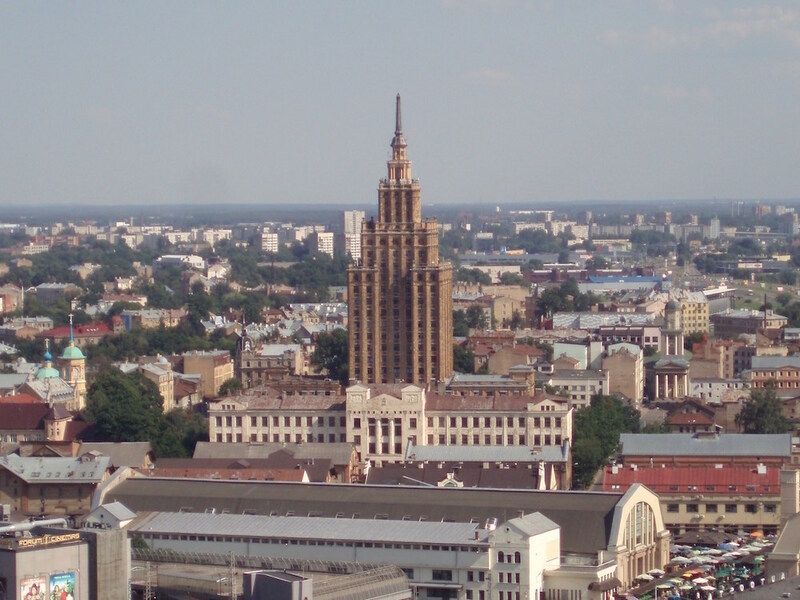 Now almost evenly split between native speakers of Latvian and Russian, Riga is booming, at least relative to the shaky position of the rest of Latvia. 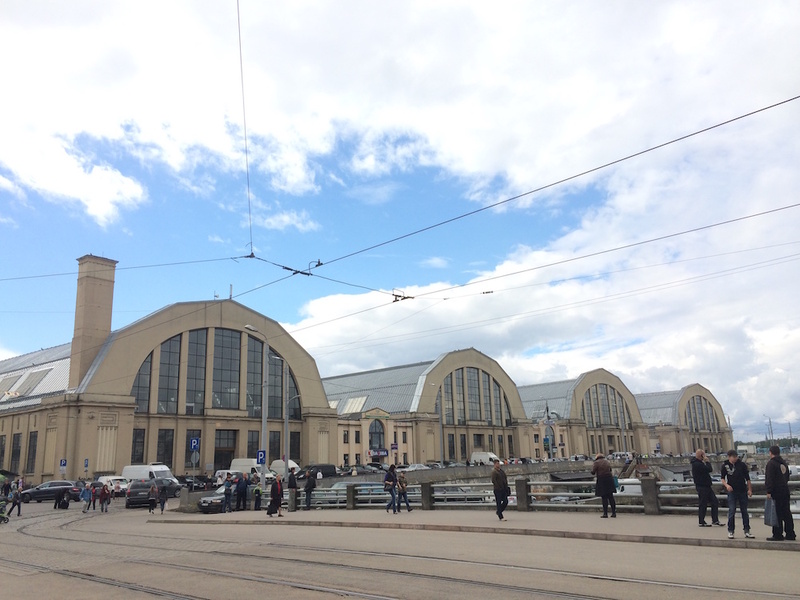 Riga’s GDP is close to double the national average, and it is only pulling away further as the rural young relocate to the capital in search of a future hard to find in Vecpiebalga or Dundaga. At the same time, the city’s population has collapsed over the last 25 years, as many Soviet-era immigrants have returned home and many locals have sought better-paid, easier lives in western Europe; this odd combination of waxing in relative terms and waning in real terms has led to an inconsistent and frustrating, but exciting and unpredictable city full of jarring disparities. Still very affordable if you know where to look, especially compared to aspirational, quasi-Scandinavian Tallinn, Riga remains, for those willing to venture beyond the Old Town, the richest and most complex experience to be found in the Baltic states. The Gulf of Riga takes a hefty chunk out of Latvia, resulting in a coastline that yo-yo’s up and down, meaning that you are rarely a great distance from the sea. Fish, accordingly, is one of the great pleasures of Latvian cuisine, which is, generally speaking, as solid and filling as a punch in the gut. 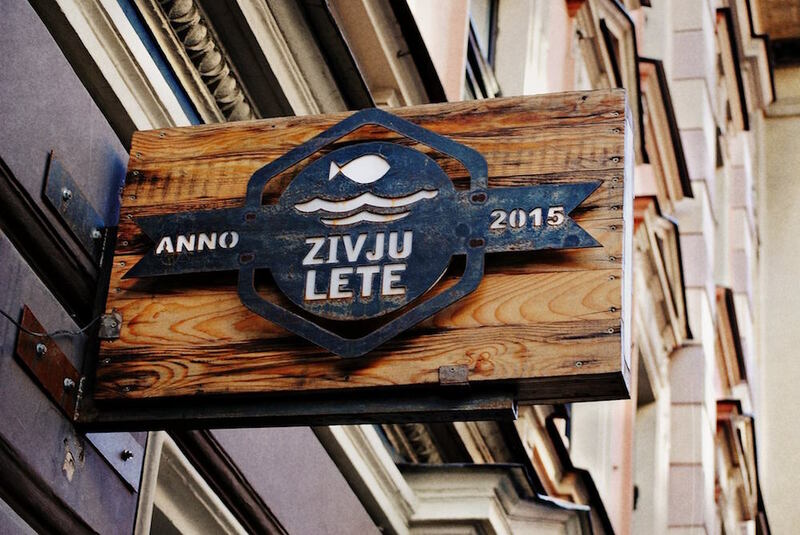 The best place to appreciate this is the isolated taverns and fish shacks of the wild, barely inhabited coast of Vidzeme (to the north) or Kurzeme (to the west), but if you don’t have time to make it out there, terrific Zivju Lete is the next best thing. 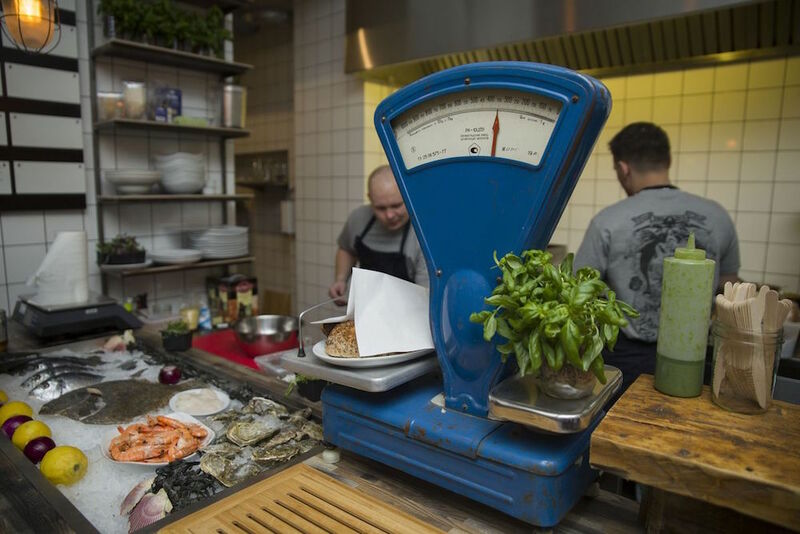 The name translates as “fish counter”, and despite its fairly high (for Riga) prices, it’s very much aiming for no-frills, albeit a somewhat fancier kind of no-frills. With certain meals, the fish is served fresh out of the tin (or in fact still in it), with others it’s clearly been mightily fussed over, with impressive results. 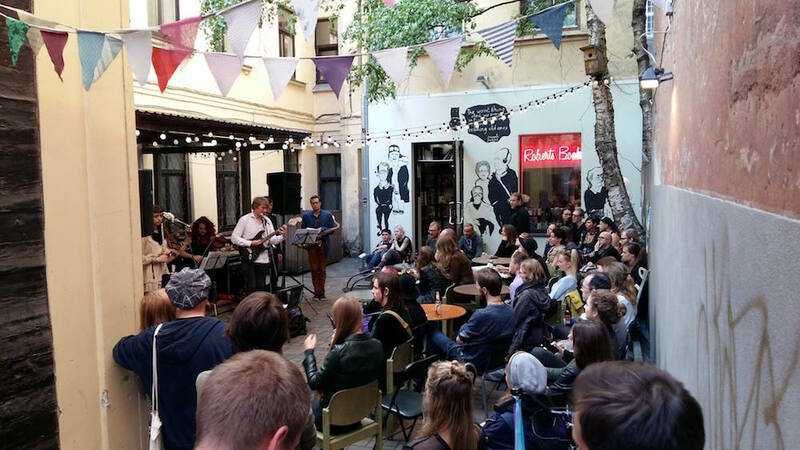 The district surrounding the street of Miera iela has been – more or less officially – anointed as the capital’s “hipster central”, and yet in Riga, this doesn’t mean quite what you might think. It’s an unusually undemonstrative, diffident form of hipsterdom, one that’s in keeping with the rubbed-raw, broken-open wooden buildings dotted throughout and the trams that judder up and down at regular intervals. The name translates as “the street of peace” in Latvian, and there is indeed an air of spellbound calm about it, especially on the many mornings when the street wakes to the aroma of chocolate hanging in the air (the main factory of Laima, Latvia’s largest confectioner, is halfway along). A good place to start is Taka, a friendly and faintly hippified spot near where Miera meets Brīvības iela, Riga’s central thoroughfare. 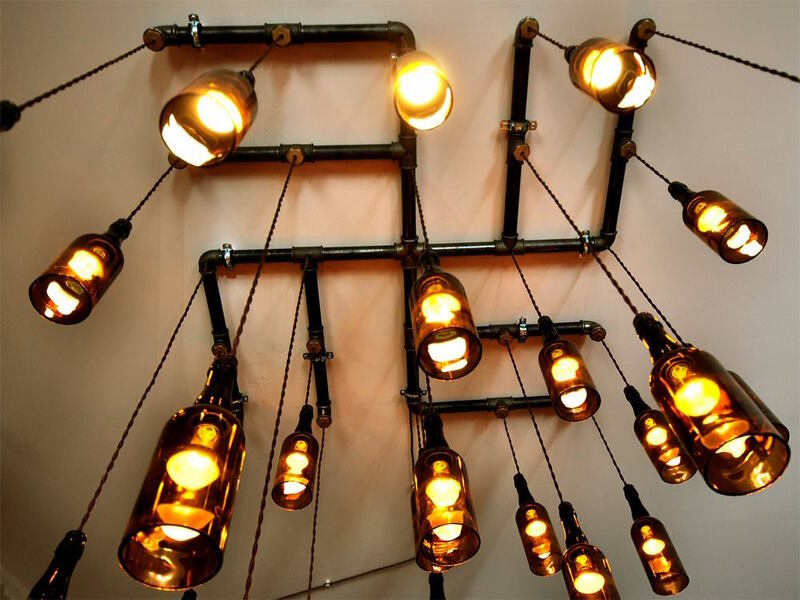 Food isn’t their strong point right now, but bright, lysergic wall art, a comprehensive selection of local beer and an enveloping atmosphere of cosiness more than makes up for that. Rocket Bean Roast, home of people who ask you a lot of questions about coffee before letting you buy it, offers slightly pricy but excellent omelettes. Sit outside reliably ace Dad Cafe, a little further down, to enjoy the wizard-capped and comically evil-looking structure opposite, which looks a bit too precarious even for haunting. 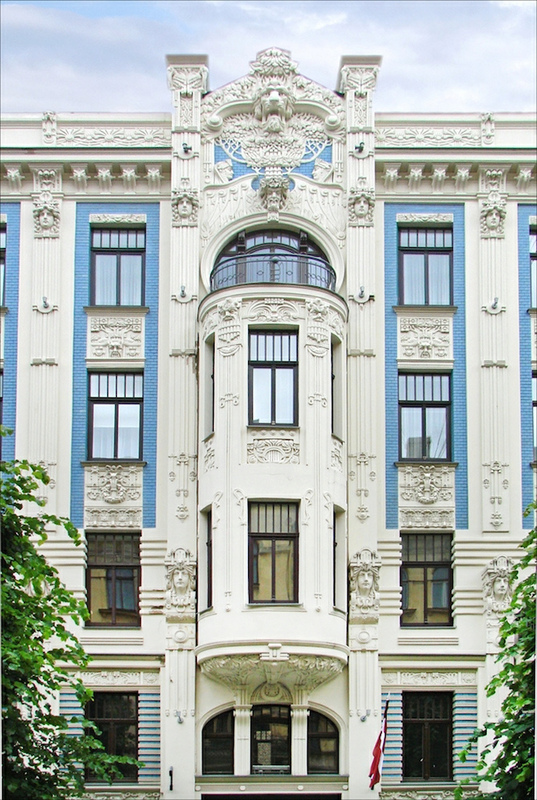 Further down, and in decidedly better shape, are some of Riga’s finest turn-of-the-century Art Nouveau and National Romantic buildings; by the first generation of ethnically Latvian architects like Konstantīns Pēkšens and Jānis Alksnis, they are streamlined and bold in form, but often patterned with traditional folk motifs. At the very far end of the street, the Great Cemetery (Lielie kapi) once an out-of-sight disposal site for plague victims, is now the unsettling resting place of Latvia’s former Baltic German aristocracy, their grand but crumbling crypts, all grand columns and emblazoned titles, memento mori of the class who ruled this land for 600 years. 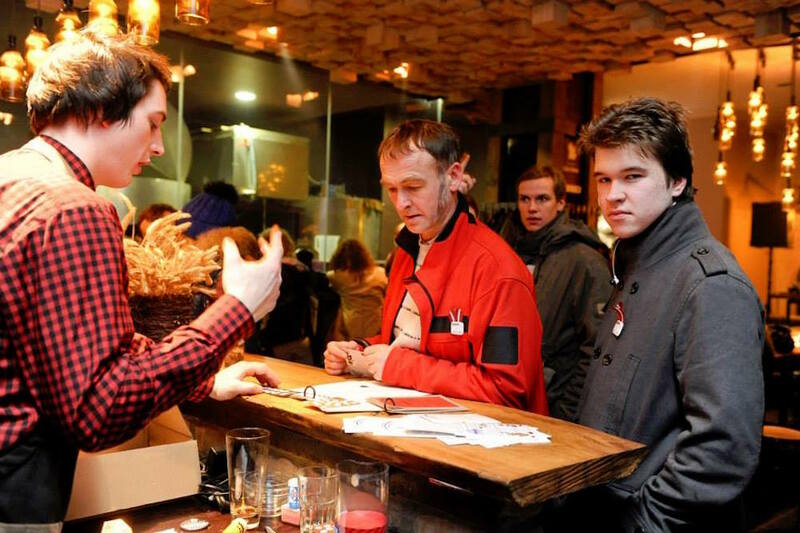 Latvia’s northern neighbour Estonia is the latest country to have been overtaken by a craft beer insurrection, with small brewers like Põhjala doing interesting and sometimes alarming things with brewing. Latvia has been a little slow to follow suit, although, unlike Estonia, it already had an impressive variety of terrific mass-market beers (ones to go for in particular are Valmiermuižas, Tērvetes and Bauskas). 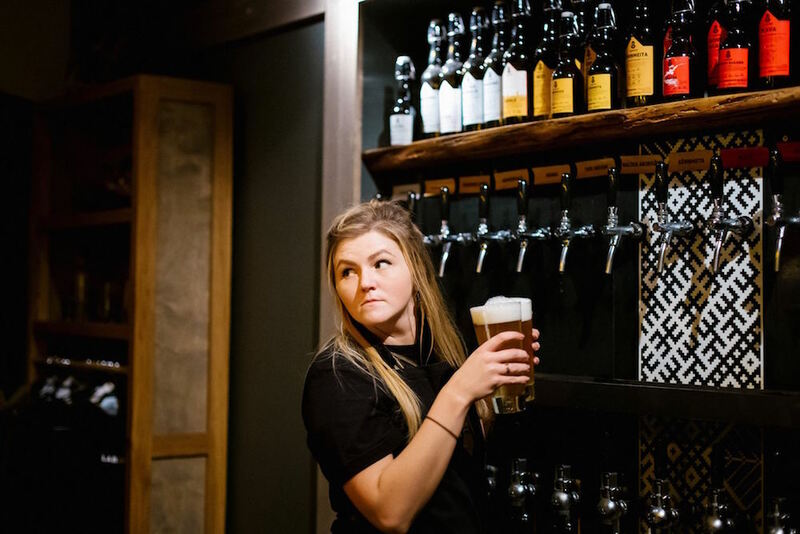 But the two-year-old bar Labietis is very much a self-contained affair; all of its wide selection of hoppy, unpredictable beers are brewed onsite. The founders prefer the term “darbnīca“ (workshop) to “darītava“ (brewery), and the fruits of their labour boast names ranging from the bluntly evocative (meadow/forest/fireplace) to the frankly eerie (yarrow devil/chokeberry witch). Sit on the pleasant terrace to appreciate the semi-derelict, off-yellow manor opposite, topped with airily gesticulating figures — appropriately, once the townhouse for a wealthy Baltic German beer baron. 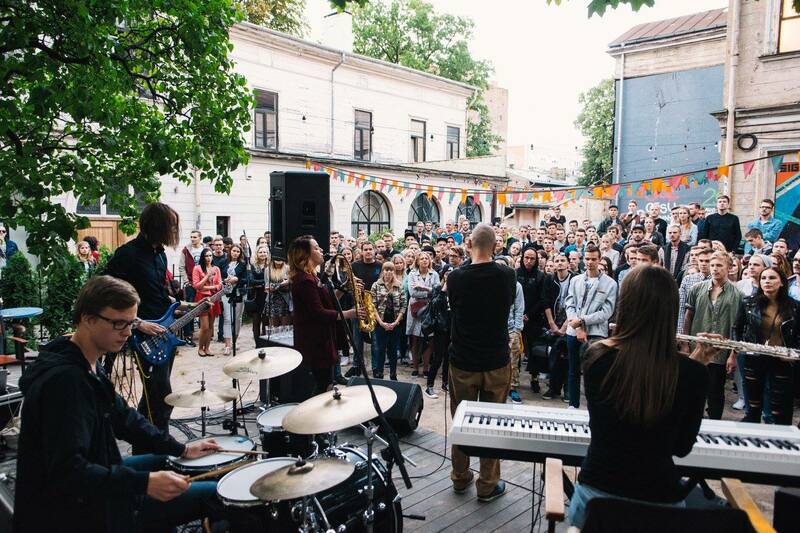 Hosted in a picturesque but shabby wooden house, at one time a music school, KKC is a Riga institution. Simultaneously charming, chaotic and at times appearing held together with sticking tape, it’s not unlike a microcosm of the city, and its impending closure has been rumoured for years, allegedly due to the displeasure and sleeplessness of the diplomats at the Estonian Embassy opposite. Its streetside courtyard, which spreads out below the surprised eyes of an enormous plaster lion, does indeed get packed most weekend nights. 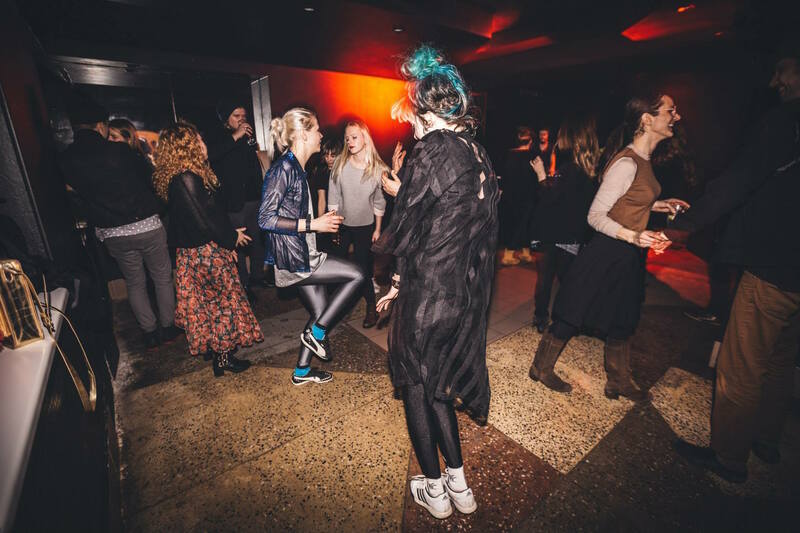 KKC’s primary function is bar, but it also puts on cultural events at a quite frenetic rate, mostly in the little rooms up the narrow staircase — for the week I’m writing this alone, there are multiple concerts, photographic exhibitions, DJ sets and film nights. 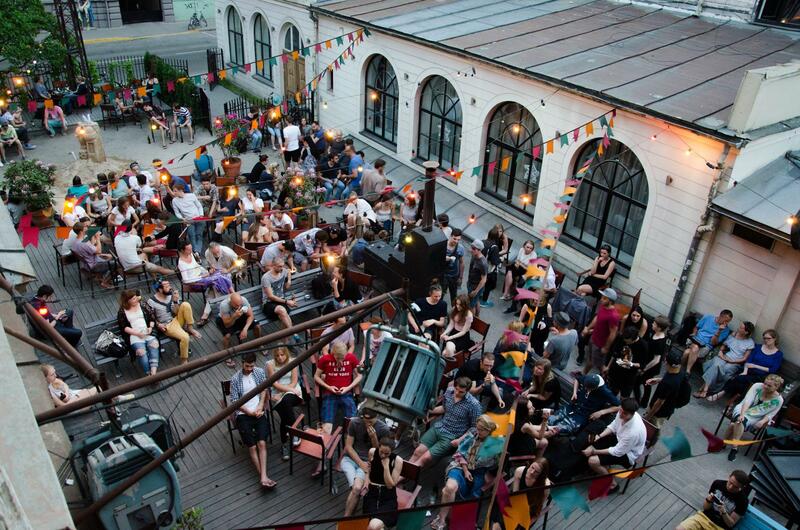 It’s best, of course, on Riga’s midsummer evenings, which stretch out to unfeasible length like a piece of toffee; but on any given night, KKC is likely to be hosting a disproportionate number of the capital’s most interesting people. 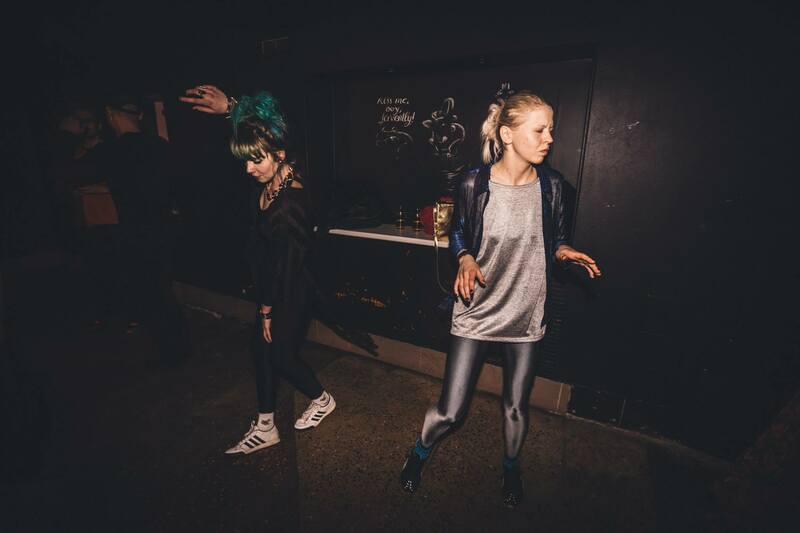 As the largest city in the Baltic region, Riga has long been the funnel through which western ideas and trends filtered further east — including the strange virus of rock music. The sixties got started here a couple of years earlier as well, not unconnected with the greater ease with which records could be obtained from the nation’s ports, and in the decades that followed Latvian groups like Dzeltenie Pastnieki were among the most adventurous and creative in the Soviet Union. 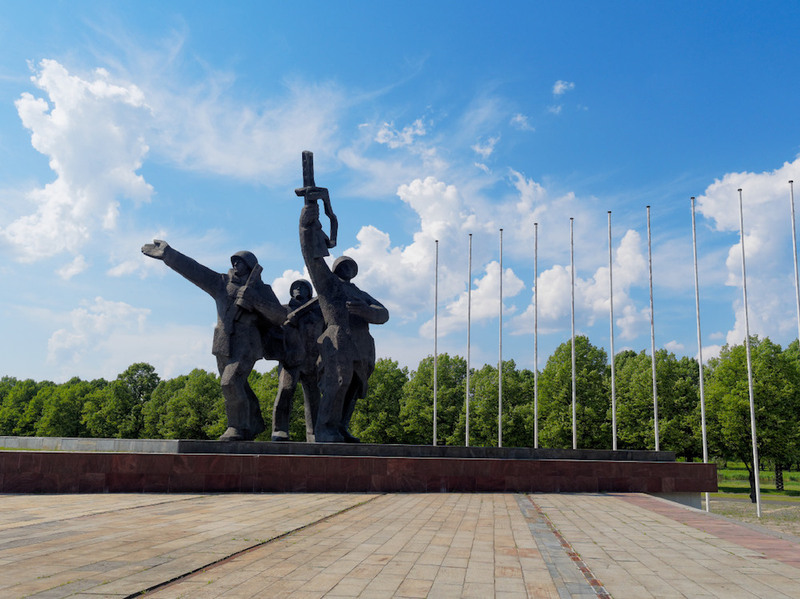 For residents of Moscow, St. Petersburg and Minsk, “going to the west” meant the Baltic capitals, marginally freer, marginally more creative, visually western cities where you could kid yourself that you were in Europe. In the years running up to independence in 1990, Latvia’s underground scene became defined by bizarre unclassifiable artist/musician Hardijs Lediņš, who led a troupe of pranksters through events equally as bizarre and unclasiffiable in various locations around the city — post-punk meets Dada. 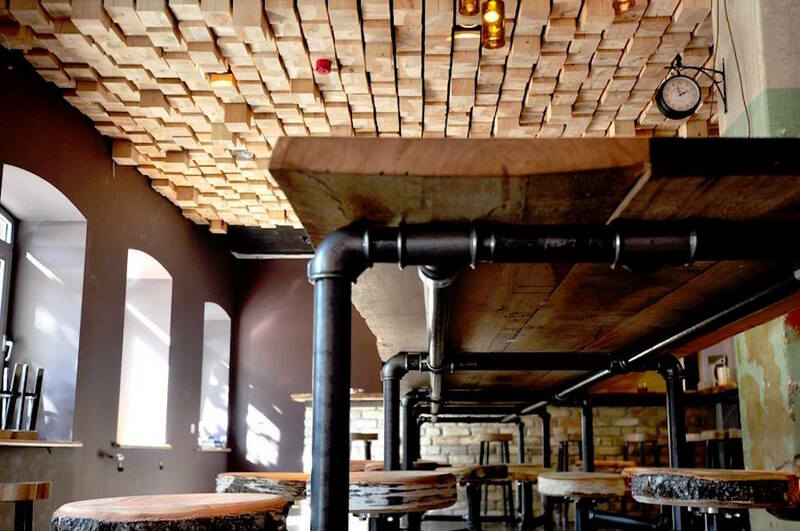 Aristīds, housed in a former factory in a peripheral part of the city centre, continues that tradition of honourable strangeness. 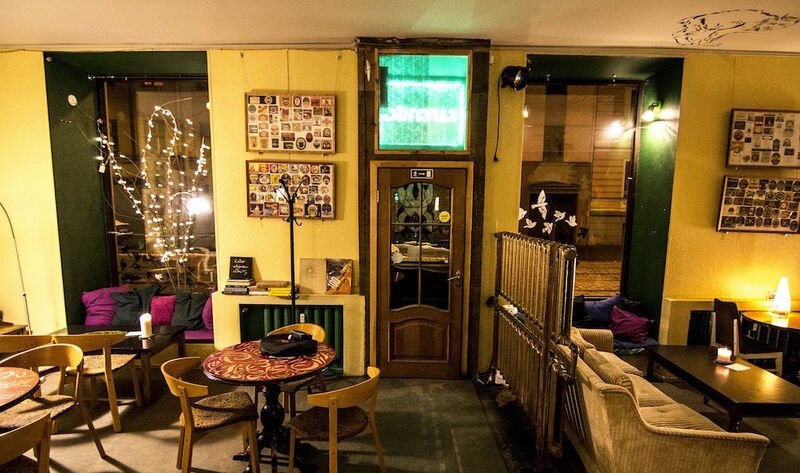 Doubling as a dingy but cosy dive bar, it regularly pulls together interesting and unusual musicians and DJs from across the city and the wider Baltic region. Regular club night Psykick Dancehall is perhaps the best place to appreciate the latest varieties of old weird Latvia. Riga has one of the most magnificent skylines in Europe, the riverside Old Town a violent seismograph reading of spires and towers. 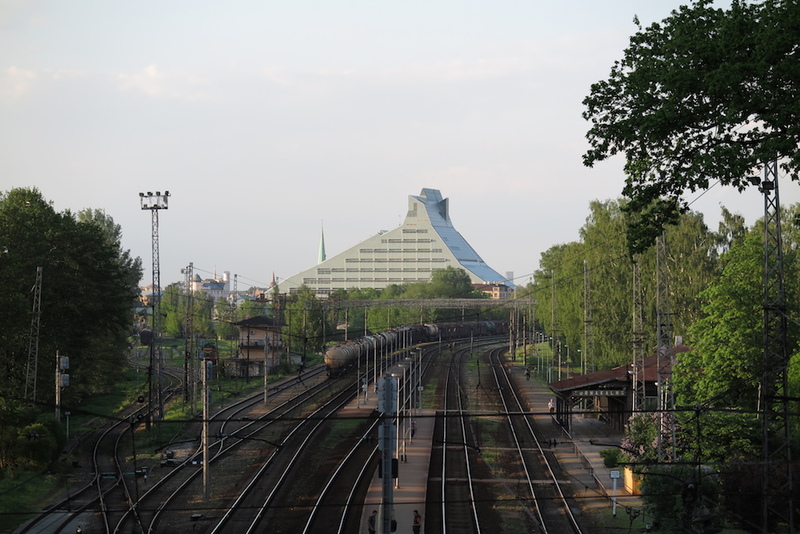 But until recently Pārdaugava (literally “over the (river) Daugava”), as the placid districts directly opposite are known, had little more to define it than some isolated churches and some unimaginative modern business HQs. That changed with the completion of Latvian-American architect Gunārs Birkerts’ new national library, whose swoops and swerves bring to mind some enormous sleeping animal. 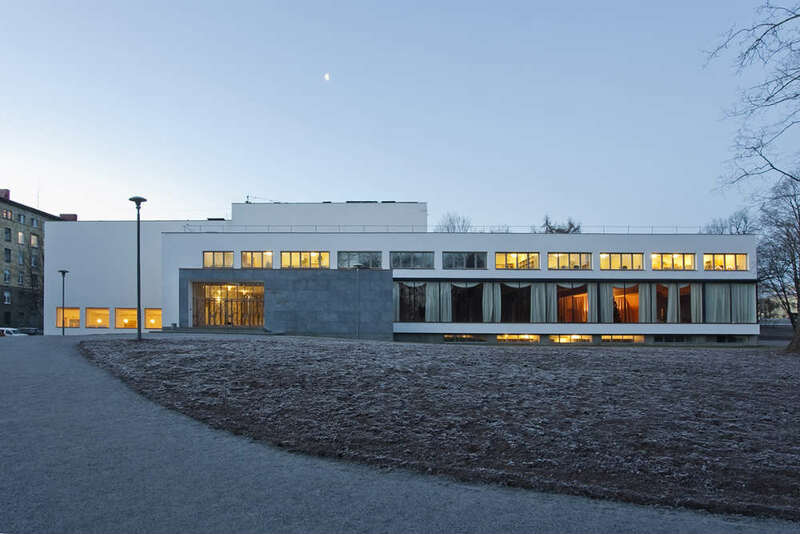 It’s worth a quick visit if you’re on this side of the Daugava for the view from its upper storeys alone; you’ll need a membership card, but it’s quick and easy to get one, and its many nooks and crannies host a changing variety of exhibitions about Latvia and the Baltic states. Niche, but often surprisingly interesting. 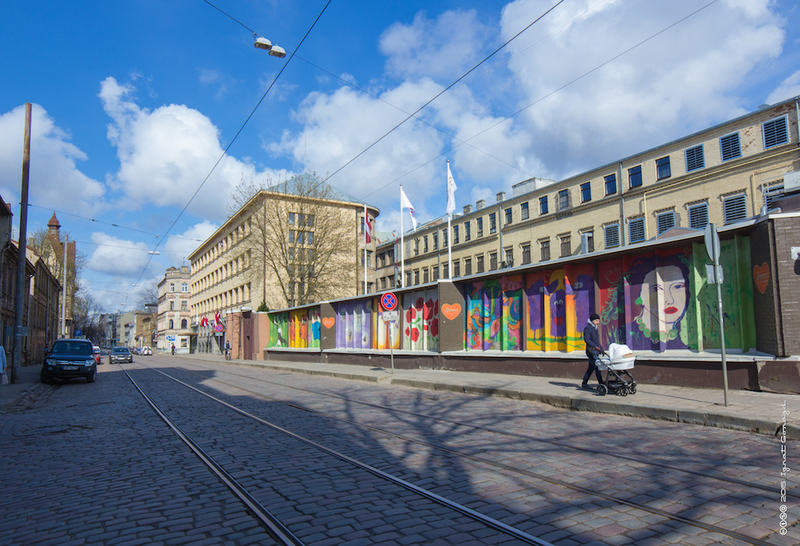 The surrounding districts, although rarely visited by tourists, are among Riga’s most attractive. Nometņu iela in Āgenskalns, a twenty-minute walk north, is quickly developing as a rival to Miera iela, flush with restaurants and cafes; it’s also a good place to see some less known examples of the grand, frequently bizarre Art Nouveau that Riga is famous for, though here it’s often in a rather haggard form — EU restoration cash doesn’t seem to have reached across the river yet. In the other direction, sleepy, ramshackle, largely wooden Torņakalns gives a taste of small-town Latvia. Between Torņakalns and Āgenskalns is Uzvaras Parks (Victory Park), home to Latvia’s most overwhelming Soviet memorial ensemble; dominating the bare surroundings and visible for miles around, a hundred-foot-high obelisk and an enormous gesticulating figure commemorate the victory over Nazi Germany and the Soviet “liberation” of the previously independent state of Latvia. Riga is a green city in a country so green that anything above a cluster of houses is considered a town. There are many places to appreciate this: the two ribbons of parkland that cordon off the Old Town from the busy 19th-century centre beyond; as well as the series of islands in the River Daugava, which range from expensive, just-so Ķīpsala, owner of the best views of the skyline, to almost rural Lucavsala, all overgrown allotments and wandering lanes. At the edge of the city is Mežaparks, one of Europe’s first garden cities and host of Latvia’s enormous traditional song festival; its tree-lined boulevards bustle with city folk on sunny days. 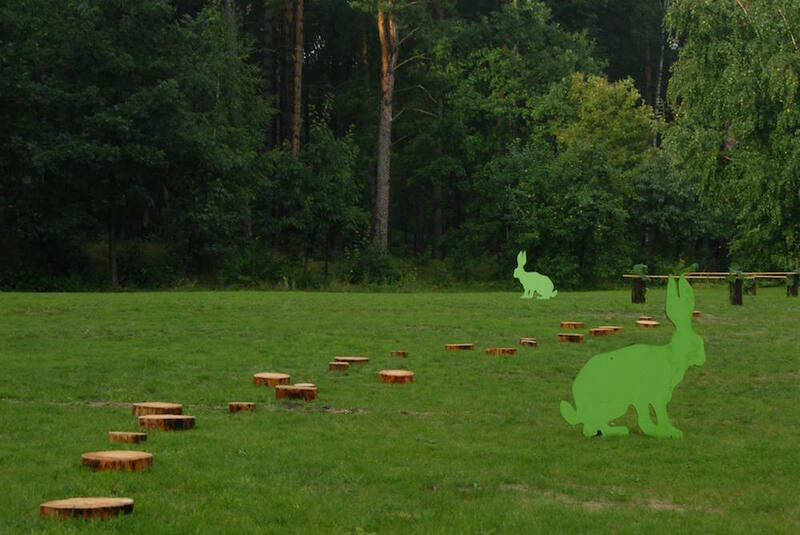 But the strangest and most genuinely wild spot within the city’s limits, the one that most accurately mimics the tracts of wilderness that make up most of the country, is Biķernieki Forest (Biķernieku mežs), a sprawling stretch of woodland which strikes towards Riga’s centre from Lake Jugla. Unlike neatly set out Mežaparks, Biķernieki is barely defined; you just find yourself suddenly stumbling into it, and the brace of major roads that bisect it don’t do much to drive away the air of peace/eeriness. Wander through to find the secrets snagged in its thickets: one a racetrack curving loopily through the trees, another a looking-glass lake watched by severe Soviet apartment blocks and often lined with sunbathers. 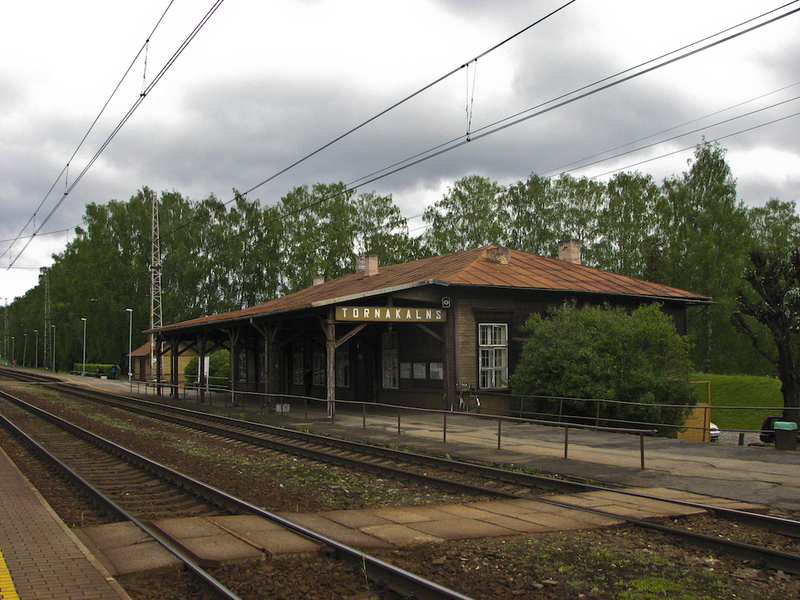 Biķernieki was also the site of the largest mass shootings of World War II on the territory of modern-day Latvia, when the Nazi occupiers and local collaborators killed tens of thousands of people, largely Jews from Austria and Germany. 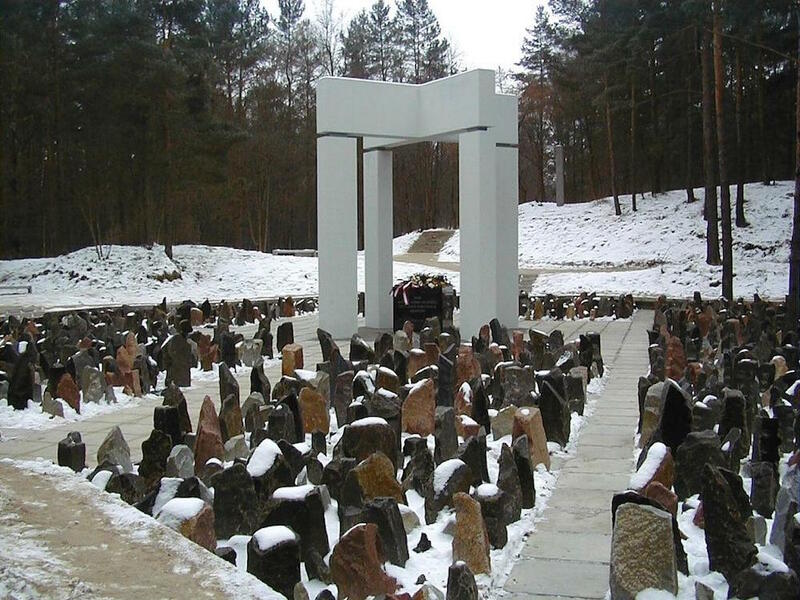 A moving collection of thousands of sculpted, knobbly, asymmetrical stones, as individual as the humans they stand for, marks one site. 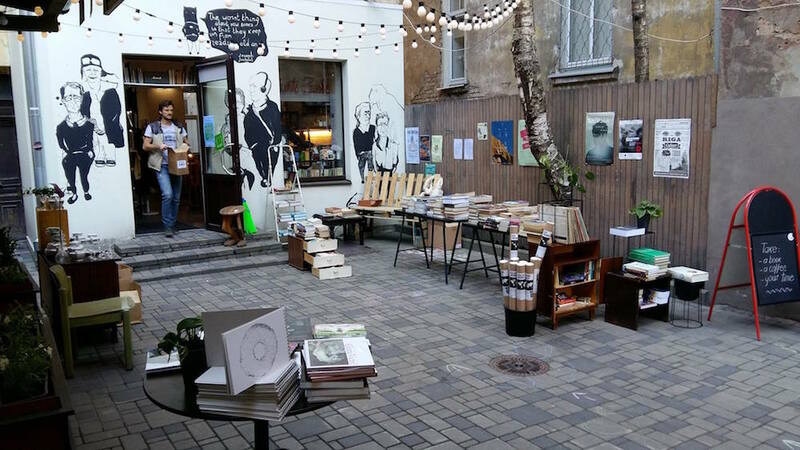 Riga has not lacked for English-language books or events in recent years: Robert’s Books on Dzirnavu iela is a well-stocked bookshop/cafe/bar/terrace whose marketing imagery, taken from Black Books and Edgar Allan Poe, is rather out of keeping with its airiness and friendliness. Year-old Bolderāja is a rougher-edged proposition; if just catching it out of the corner of your eye from across the street, you could be forgiven for thinking it was an abandoned building — and it takes its name from one of Riga’s sketchiest and most remote suburbs. But it’s well-stocked with classic and contemporary literature in both English and Latvian, as well as a trove of pleasantly miscellaneous finds. Entertainment includes spiky art and music shows, continually looping video of peculiar events and reliably garrulous owner Didzis. Bolderāja sits on Avotu iela, a pinched diagonal on the outskirts of the city centre that’s long been rumoured to be an unwise place to loiter, but seems to be experiencing something of a renaissance. 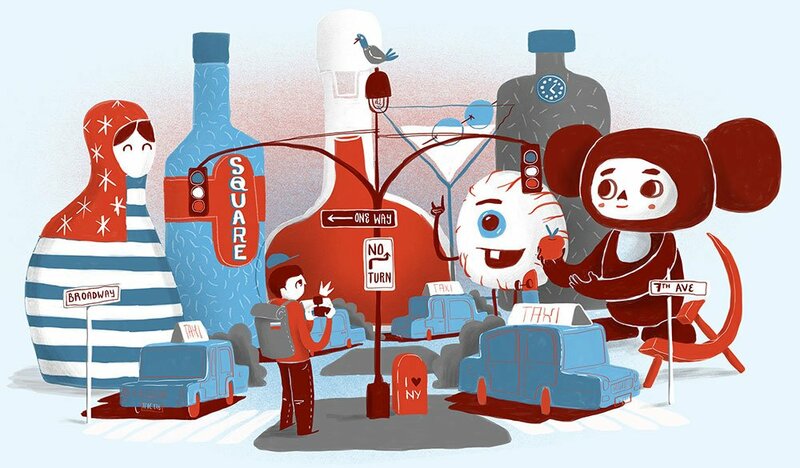 At the tail end of the street is Chomsky, known city-wide as the friendly hangout for hipsters without money, where the furniture is made of other furniture and cheap alcohol is a human right. Cosy local bar Trīs Vīri Laivā and Greek cafe Spitaki are also recommended. Further up, Avotu iela slices through Grīziņkalns, a close-packed, mostly wooden district built in the second half of the 19th century as Riga industrialised and Latvians flocked to the city. The industry has gone, but Grīzinkalns remains working-class and rickety; it’s one of the best places in the city to see authentic, unrestored examples of the wooden architecture for which the city has been recognised by UNESCO – Lienes iela, Krāsotāju iela and Mūrnieku iela are particularly immersive experiences. 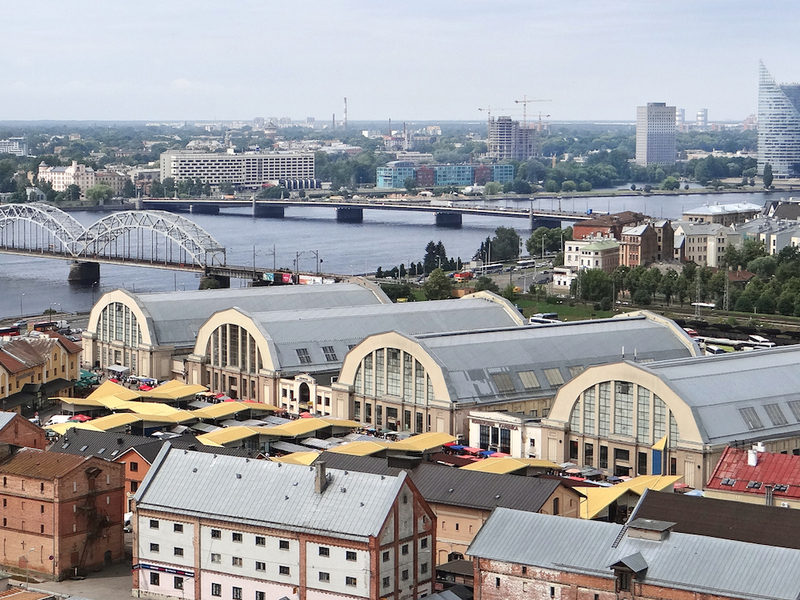 Every tourist guide and its mates will recommend you to visit Riga Central Market (Rīgas Centrāltirgus), a chaotic whirl of sounds, smells and tastes in and around a row of decommissioned zeppelin hangars. It is, by some assessments, Europe’s largest market, although this claim is inevitably difficult to verify, as it becomes less and less defined as it peters on, with increasingly niche products sold from increasingly poorly structured stalls. It’s worth visiting, no question, but to be properly consumed by the other side of Riga, you have to strike deeper into Maskavas Forštate: the tough, mostly Russian suburb in the shadow of the towering Stalinist Academy of Sciences (Zinātnes Akadēmija), which glowers over the railway tracks at Riga Old Town. There you’ll find Latgale Market (Latgales tirgus), habitually referred to, like many things in the relentlessly cutesy Latvian language, by its diminutive, Latgalīte — and quite regularly as “the criminal market”, for the not inconceivable possibility that unlawfully seized possessions may end up here. Fascinating and seamy, it’s a bit like a corner into which the detritus of Latvia’s complex past has been swept; vendors sit behind tables piled with the cast-offs of various eras. If you dream of a battered Soviet record player, a medal from one of the many armies who have swept bloodily through the region or just a contextless bit of wire or metal, this is where to go. Don’t expect a great deal of English (or Latvian, in many cases), and remember they’re not over-fond of photos. 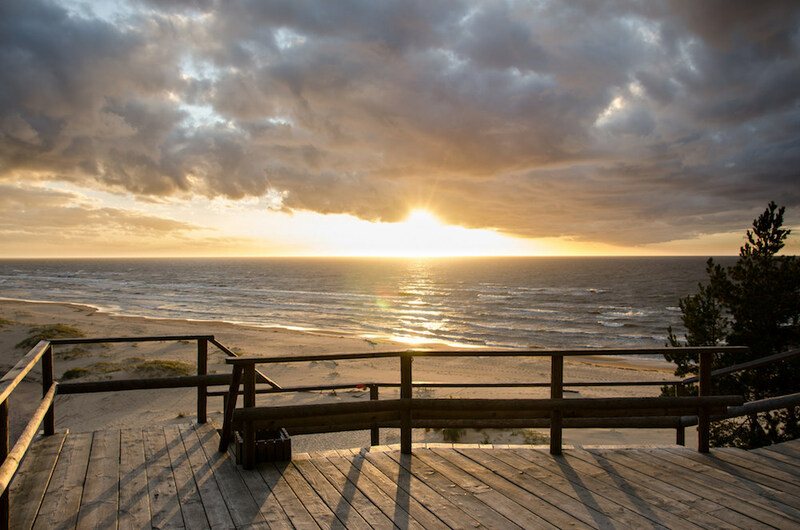 The obvious choice here is Riga’s doorstep town Jūrmala, famous from Vladivostok to Lviv during the Soviet Union, when it was allegedly the union’s most popular beach getaway after Yalta and Sochi. But if you don’t fancy battling for an inch of sand with the eccentrically dressed denizens of the Russian oligarchy, I’d very much recommend heading to one of Latvia’s less celebrated coastal resorts, which in the summer months can’t be beaten if you’re into pine trees and pleasantly cool, rather than warm, water. Lovely, calm Saulkrasti is an hour up the Vidzeme coast by train; slightly closer Garciems is another pretty but quiet option. 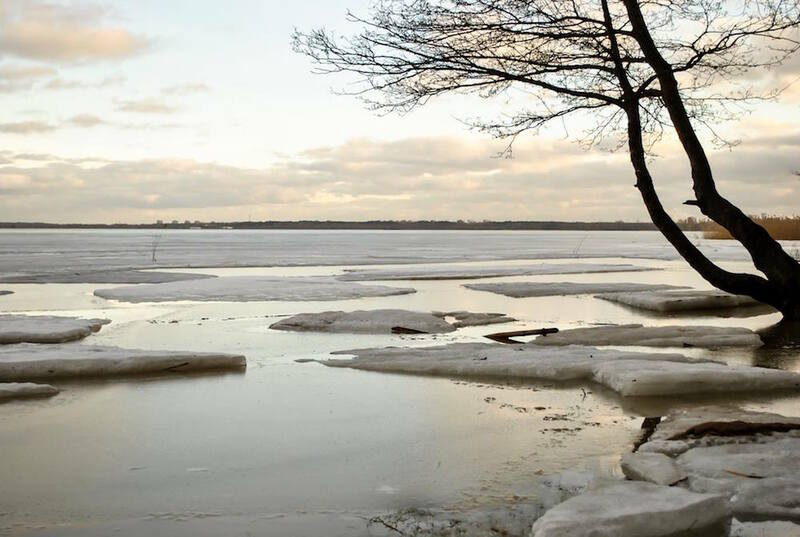 Alternatively, head in the other direction, north from Jūrmala, to the barely-populated but spectacular Kolka Peninsula, where the spaced-out little fishing settlements are the closest you will come to civilisation.